Barley. Hops. Water. Yeast. I often find myself pondering the evolution of the process of using these four ingredients to make beer. Even after 7,000 years, while the procedures to brew delicious beer continue to develop, the basic idea has stayed the same. 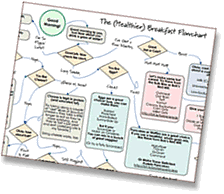 A visit to any brewery can impart the impression that beer is a technical and industrial procedure requiring specialized equipment and bearded professionals. 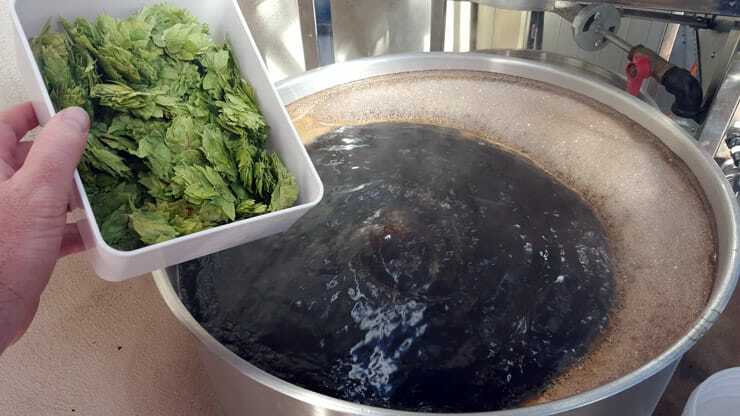 While having fancy stainless steel (and a shaggy beard) could help, the traditional procedure of brewing beer is not as daunting as it may appear. At my hop farm, living the dream! Here is the traditional method for making beer. First we start with malted barley. Malting is a process where harvested barley is soaked with water to allow the seeds to begin germinating. While the seed prepares for growth, valuable enzymes are made. The grain is then lightly kilned to halt germination and finish the malting process. 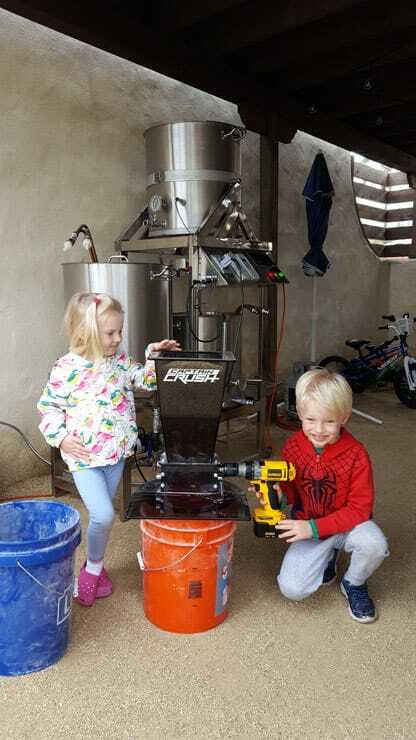 Milling the grains — everyone helps on brew day! Brewers mill (or crush) malted barley to expose the starches and enzymes, and add it to a container called a mash tun with hot water to make a mash. Activated enzymes present in the barley transform grain starches to sugar (maltose). The sweet liquid is then separated from the grain, a process called lautering. Adding grains to the mash tun. The liquid is then brought to a boil in a kettle where hops are added. After a long boil, the sweet hoppy liquid is cooled and transferred to a fermentor. Yeast is added to begin fermentation which will last a week or so. The yeast will metabolize the sugars and make alcohol. Fermentors taking over the kitchen. When fermentation is finished, the beer is either bottled or kegged and undergoes carbonation. Then comes my favorite part: Consumption! 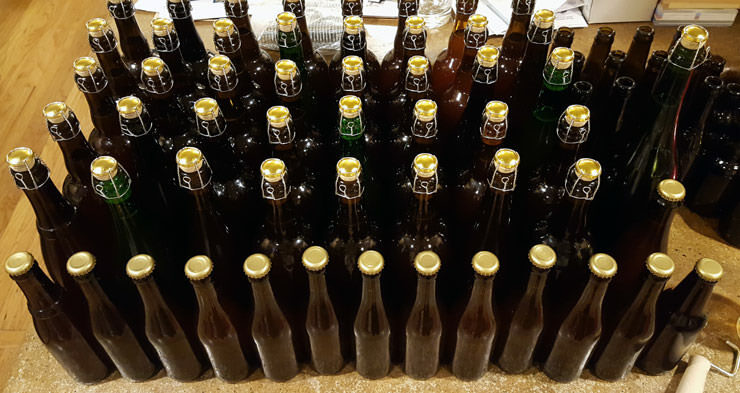 99 bottles of beer…some of these are headed to competition. If you enjoy beer, chances are that you would totally enjoy homebrewing. 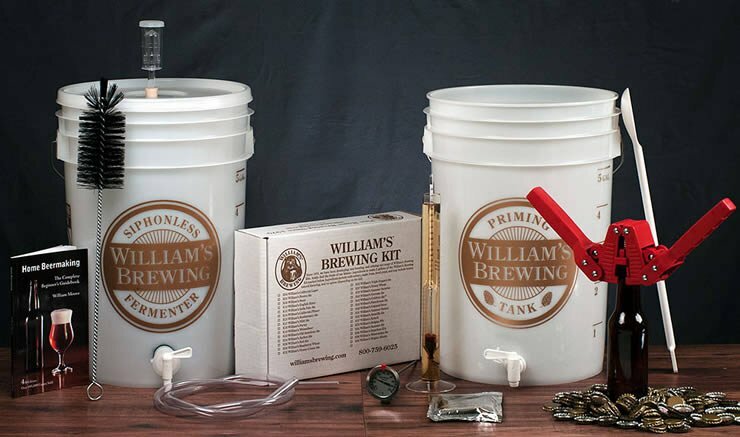 With about 1.2 million homebrewers in the United States, there are lots of brewing resources and homebrew supply shops across the country to help you get started. 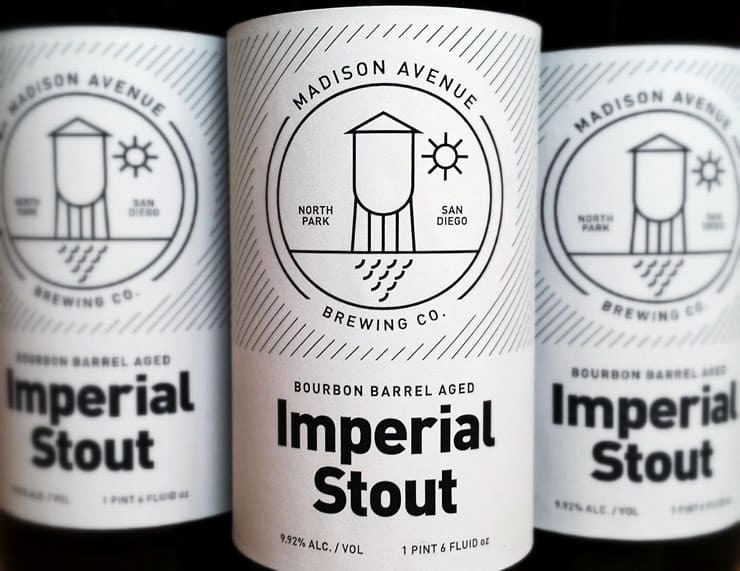 The appeal to make your own beer at home is that it combines technical skill with art and science, not to mention the pride of making your own brew! 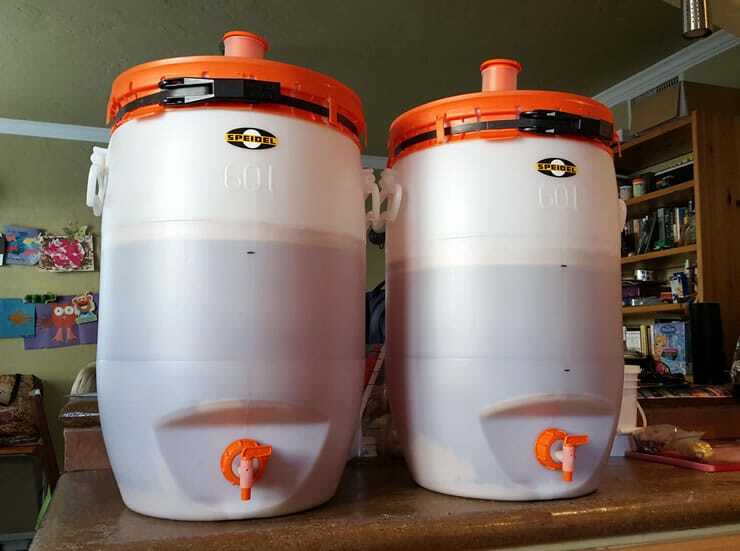 A homebrewer has the advantage of accessing ingredients and processes that are otherwise impractical at the commercial level. They can also make beer that is not available commercially, such as an historic pre-prohibition ale. Just like with cooking food, brewing beer has indefinite possibilities limited only by your imagination. Most beginners start out with basic equipment and a shorter procedure using malt extract (either liquid or dried). Using malt extract rather than starting with actual malted barley simplifies the process. Malt extract is made with a traditional mashing process as described above, then most of the water is removed to make a syrup or powder, a method equivalent to making brown rice syrup or evaporated cane juice. The homebrew kit that started it all! The equipment needed to make your own beer at home may be a bit beyond what you already have in your kitchen. For small batch sizes, around one gallon, you will likely need just a few additional items. With larger batch sizes, specialized equipment allows a smoother brewing experience. If you are curious about homebrewing, I would suggest stopping by your local homebrew supply shop. 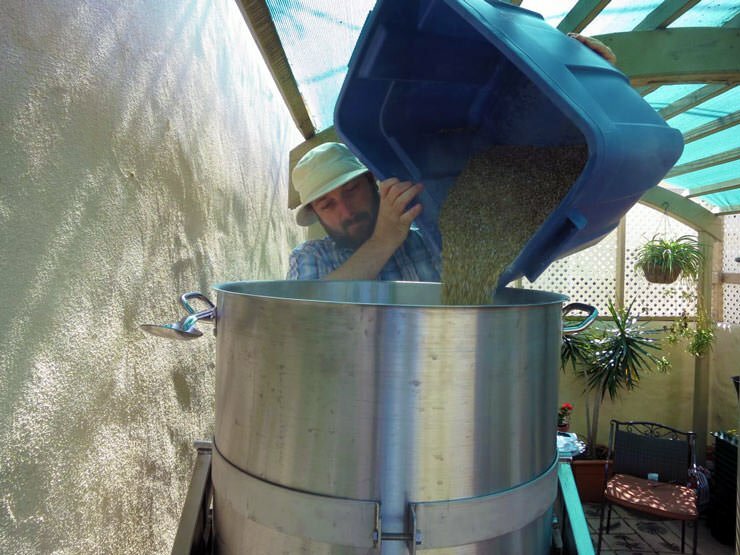 Most homebrew shops offer introductory beer brewing classes. You can also connect with homebrewers by visiting or joining a homebrew club. My homebrew club, QUAFF, has been a valuable learning and social community for me. Homebrewers are an amazing group of beer people who are knowledgeable, skilled, innovative, handy, and consequently great cooks too! You’re all in luck because Learn to Homebrew Day is coming up next month (November 5th) and you can count on lots of homebrew shops and clubs hosting brewing events that will be geared towards beginners. Cheers! Sean Gardinier is a middle school science teacher, and has been homebrewing for the past 16 years — and he consistently makes the best beer Andrew has ever had. 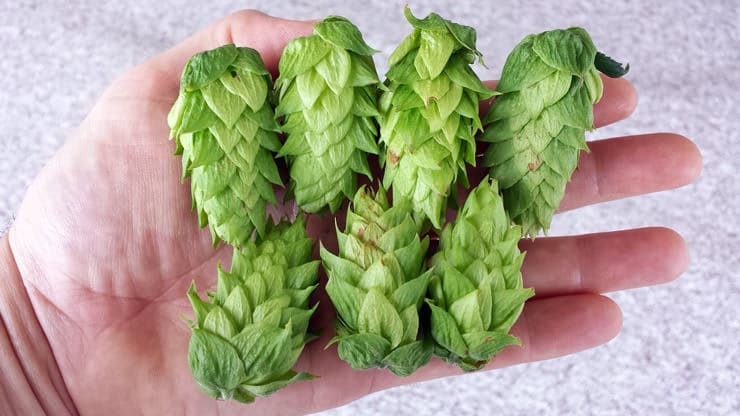 Sean even grows his own hops that he includes in every batch of his beer. 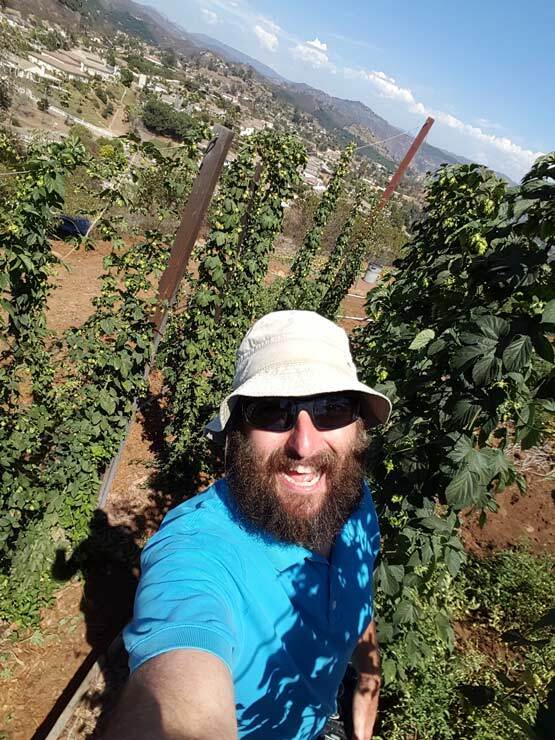 He lives in the great beer city of San Diego, California and is a member of QUAFF, the National Homebrew Club of the Year. Follow Sean on Twitter. Cheers, Cheryl. To make good beer, the beard is optional! My kids will certainly remember the process too. Excellent Summary! Don’t forget the importance of sanitation and sterilization for everything after the boil phase and never forget to relax and have a homebrew! Hey buddy! I figured those that take the next step will run into cleaning and sanitation procedures. Speaking of relaxing with a homebrew, we should do that soon!